Love is sockless and never wears shoes. The mountain is too hard to climb otherwise. 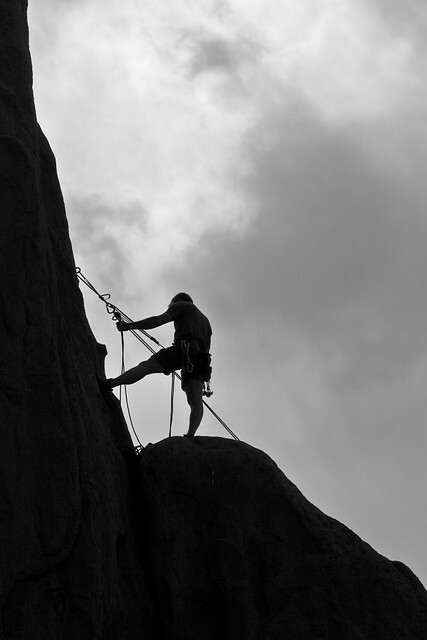 The toes must grip the steep face of rock and hold on tightly to the sharp ledges. Love never sees the summit. Its feet yield to the mountain’s hard wisdom: finding rest in sudden seams of green, where the heart grows fat, and climbing past pain to reach a fractured rock to bind its wounds.. The first bleeding is the worst, always such a surprise to the new climber. The calloused feet never forget the grass, the cool sweet beginnings of the long climb; and when the fall comes, as it must come at the end of every life, the memory of grass makes it all worthwhile. This goes a long way toward explaining why everybody in my house likes to put their feet on me. Either they really love me or I feel like cool grass. Very nice imagery, as always. Enjoy your small climbers while you can. This piece made me stop to think – which is what I feel good writing should do. Thank you for stopping to read. This is so beautiful, yearstricken. Thank you, Shimon. Enjoy your climb. I love going barefooted. I love the feel of cool green grass under my feet, and smooth warm rocks too. The sharp stab of broken stubble hiding in the lush grass was what always surprised me.. Yes, your comparison is very apt, for the hurts that come in love all seem to be hiding in the lushness as well; surprising indeed, but we keep going back in search of that cool green feeling on the bottom of our feet. Loving is hard sometimes, but what else is there.